The Henry Draper Medal is awarded every four years and is presented with a $25,000 prize. The Medal honors a recent, original investigation in astronomical physics, of importance and benefit to science to merit such recognition. "Recent" is defined as a major publication resulting from the investigation should have appeared since the last presentation of the award (2017). Henry Draper was a NAS Member, medical doctor, and amateur astronomer. Draper was a pioneer of astrophotography – a specialized type of photography for recording images of astronomical objects and large areas of the night sky. In 1873, Draper resigned from his medical career to focus solely on astronomy. He directed an expedition to photograph the 1874 transit of Venus, and was the first to photograph the Orion Nebula, on September 30, 1880. In addition to this award, a small lunar crater is also named after Henry Draper. Barry C. Barish and Stanley E. Whitcomb received the 2017 Henry Draper Medal. Together, Barish and Whitcomb led the large and talented team that built the Laser Interferometer Gravitational-Wave Observatory (LIGO). LIGO’s twin 4-kilometer-long detectors, in Louisiana and Washington, made the 2015 discovery of gravitational waves from colliding black holes, directly validating Einstein's 100-year-old prediction of gravitational waves and ushering in a new field of gravitational wave astronomy. Barish joined LIGO at a crucial time in 1994. As LIGO director, his experience with large, high-energy physics experiments made him uniquely suited to balance conflicting needs as the scientifically challenging tabletop-scale project grew to a robust multi-kilometer experimental facility. He conceived and created two related entities: the LIGO Laboratory, which managed, designed, built, operated, and maintained the LIGO instruments while carrying out needed research; and the LIGO Scientific Collaboration (LSC), which expanded the research team by drawing in more than 1,000 researchers from around the world, thereby enabling the project’s success. The Henry Draper Medal is the oldest Medal that is presently awarded by the National Academy of Sciences. It was first awarded in 1886 to Samuel P. Langley for “numerous investigations of a high order of merit in solar physics, and especially in the domain of radiant energy.” After receiving this award, Langley continued to have an amazingly accomplished career in astronomy and aviation. Langley served as the third Secretary of the Smithsonian Institution, where he founded the Smithsonian Astrophysical Observatory. Air and sea craft, facilities, a unit of solar radiation, and an award have been named in Langley's honor. 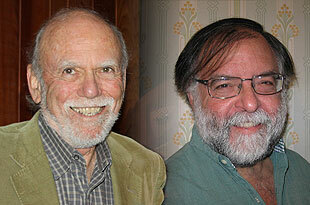 Honoring Barish and Whitcomb, on behalf of the LIGO collaboration, for their visionary and pivotal leadership roles, scientific guidance, and novel instrument design during the development of LIGO that were crucial for LIGO's discovery of gravitational waves from colliding black holes, thus directly validating Einstein's 100-year-old prediction of gravitational waves and ushering a new field of gravitational wave astronomy. For his founding concept, unflagging advocacy, and visionary leadership during the development of NASA's Kepler mission, which has uncovered myriad planets and solar systems with unforeseen and surprising properties. For his pioneering contributions to gamma ray astronomy. His leadership of the Compton Gamma Ray Observatory and the Swift Mission has led to new insights into the extreme physics of active galactic nuclei and gamma ray bursts. For his contribution to the precise determination of the age, composition, and curvature of the universe through his leadership of NASA's WMAP (Wilkinson Microwave Anisotropy Probe) cosmic microwave background mission. For their pioneering investigations of planets orbiting other stars via high-precision radial velocities. They have proved that many other planetary systems exist in the universe. For his epochal contributions toward understanding gamma-ray bursts, the evolution of binary stars, and especially the gravitational lensing and microlensing of light from distant objects. For their insight and skill in developing a physical model of the evolution of the universe and in predicting the existence of a microwave background radiation years before this radiation was serendipitously discovered; through this work they were participants in one of the major intellectual achievements of the twentieth century. For the first three-dimensional view of some of the remarkable large-scale filamentary structures of our visible universe. For his pioneering studies of pulsars, including the fundamental measurements of orbit perturbations by gravitational radiation and other general relativistic effects. For his pioneering researches in spectral classification, leading to a new standard of accuracy in our knowledge of the distances of the stars and the structure of our galaxy. For their discovery of the cosmic microwave radiation (a remnant of the very early universe), and their leading role in the discovery of interstellar molecules. For his vision and distinguished achievements in space astronomy and for his many outstanding contributions to the physics of the plasmas on earth and in the interstellar medium. For his leadership in, and major contributions to, the field of astrophysics. In recognition of his fruitful researches in astronomical physics, and particularly for his part in the discovery and proof of extremely high temperatures in the sun's corona. For the development of a novel radio-telescopic equipment which made it possible to determine accurately positions of the numerous weak radio sources in the sky. For his achievements in solar spectroscopy. For his book Structure and Evolution of the Stars and two papers, "On the Maximum Mass of Stable Stars" and "Evolution of very Massive Stars," which are outstanding contributions in the field of stellar evolution. For his original and outstanding work leading to the discovery of magnetic fields in stars and also the general magnetic field of the sun. For his contributions to solar physics. The coronograph, invented by Lyot, has made possible continuous observation of the inner corona on all clear days at any suitable location. For his contributions to astronomical physics. In recognition of his contributions to astronomical physics, more particularly his researches on the generation of energy in the sun and stars. In recognition of his many important contributions to astronomical physics, in particular those relating to his researches in stellar spectroscopy. In recognition of his contributions to astronomical physics, more especially his researches on the spectra and chemical composition of gaseous nebulae. In recognition of his contributions to astronomical physics, more especially his pioneering work upon resonance spectra, his use of color filters in astronomical photography, and his development of methods for concentrating to a high degree the light from diffraction gratings in desired orders and regions of the spectrum. For his fruitful investigations in photographic process which have given emulsions sensitive to red and infrared of the spectrum and made possible great advance in knowledge of this highly important region of the radiant energy of stars. For his able and consistent labors in stellar radial velocities, and related studies energetically pursued for nearly 30 years. In recognition of her astronomical work, in particular for cataloging the spectra of stars. For his researches on nebulae, new stars, and planetary atmospheres. For his contributions to astronomical science. For his contribution to knowledge of physical conditions existing within the stars, and for his constructive interpretation of the Einstein theory of the relativity as applied to astronomical problems. For his remarkably valuable contributions to knowledge of the order of stellar evolution. For his discovery of the so-called Zeeman effect and for its application on magneto-optics. For his researches in celestial and laboratory spectroscopy, which have led to a valuable increase of our knowledge of sun spots, comets, and the stars--especially of red stars of Secchi's Type III. In recognition of his researches in physics and astronomy, chiefly by means of interferometers. For discovering and developing a method of determining the distances of the stars by means of a spectrograph. For his numerous and important contributions to spectroscopy and astronomical physics. In recognition of his work on application of the selenium cell to stellar photometry. For his researches in solar and stellar physics. For his researches on the infrared region of the solar spectrum and his accurate measurements, by improved devices, of the solar "constant" of radiation. For his observations and researches relating to the motions of stars in the line of sight, his improvements in the methods of measuring such motions, his discussions of conclusions to be drawn from them, and the organization of work in this field in the southern hemisphere. For investigations of solar phenomena, studies of stellar spectra, editing the Astrophysical Journal, and the direction of the Yerkes Observatory. For his investigations in astronomical physics. For his researches in spectroscopic astronomy. For spectroscopic observations upon the motion of stars in the line of sight, and other kindred researches. For his researches on the solar spectrum, as well as for his investigations in astronomical physics. For his work in stellar photometry, stellar photography, and stellar spectrum photography. For numerous investigations of a high order of merit in solar physics, and especially in the domain of radiant energy.